NEW! Valentina E. S.S. Whimsy Nautical Inspired GACHA @ Whimsical! NEW! 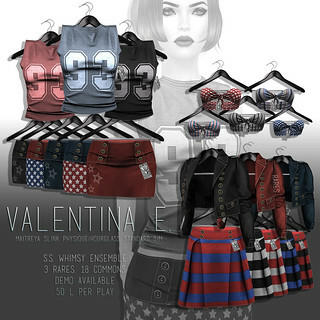 Don't miss the new Valentina E. S.S. Whimsy nautical inspired gacha at Whimsical! Maitreya, Slink, & Standard options are included @ just 50 L a play! Anchors away!